We eat a lot of quiches at my house, and I am always coming up with a new idea. 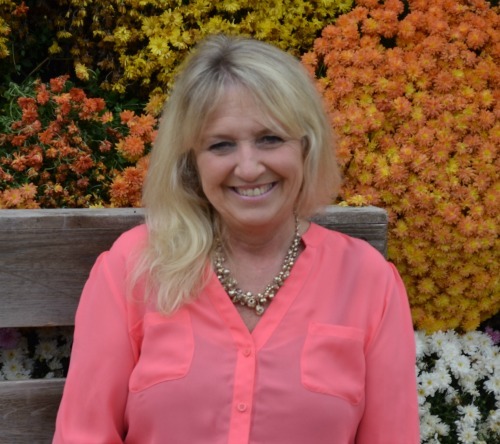 I realized that I didn’t have a basic one on my blog. 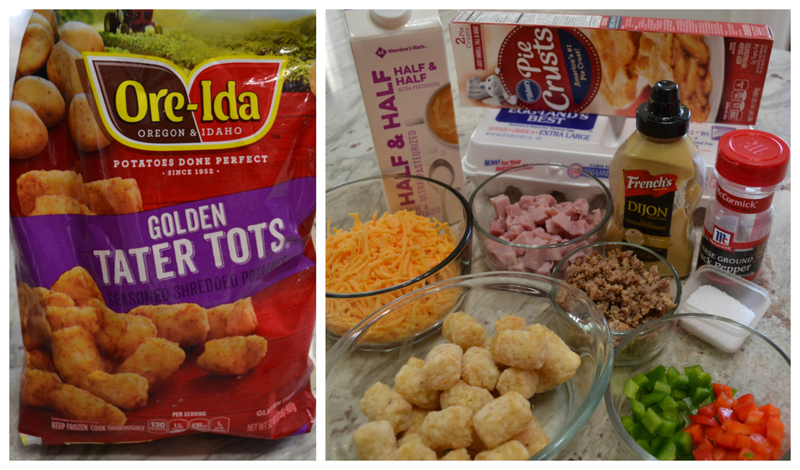 I do not always do one with this special tater tot topping. 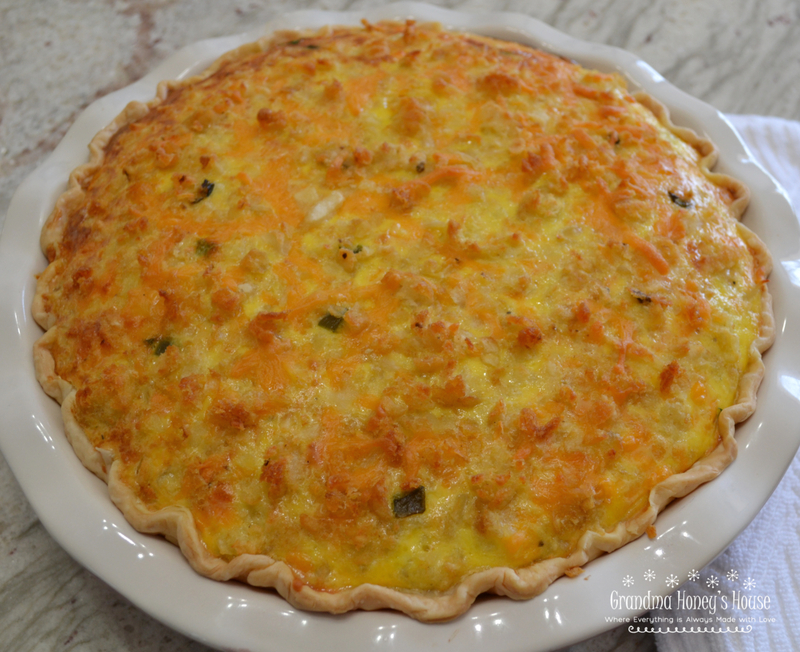 If you prefer a more basic quiche, just use this recipe and leave off the topping. These are the ingredients I used for this loaded quiche. The jalapenos missed the photo shoot, as I forgot them on the other counter. They can be an optional ingredient if desired. Place a 9 or 10 inch deep dish pie plate on a parchment lined baking sheet. 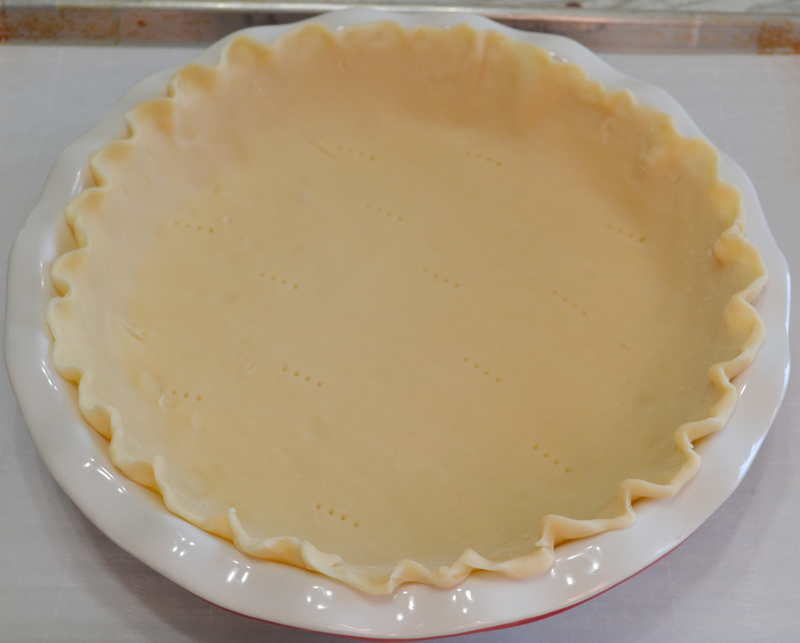 Preheat oven to 350 degrees F. Press pie crust into bottom and up sides of pie plate. Prick bottom crust with a fork. 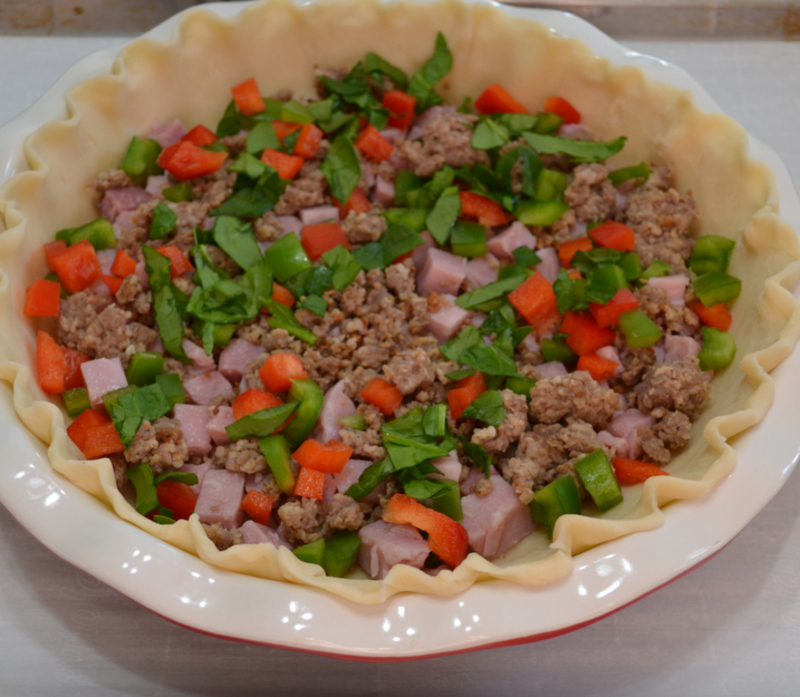 Arrange sausage, ham chunks, red and green peppers and baby spinach in the pie crust. Add 1 cup of the cheese. Beat together the eggs, salt, pepper, dijon mustard, and half and half. 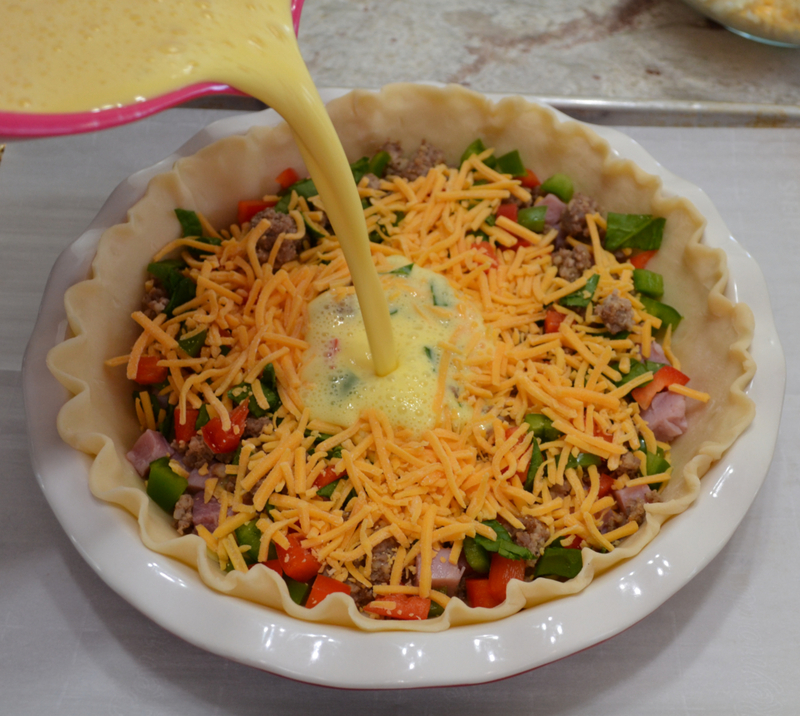 Pour into pie crust to cover the ingredients. In a medium size microwave safe dish, heat the tater tots about 1 minute to 1 minute 30 seconds, or until able to crumble them. 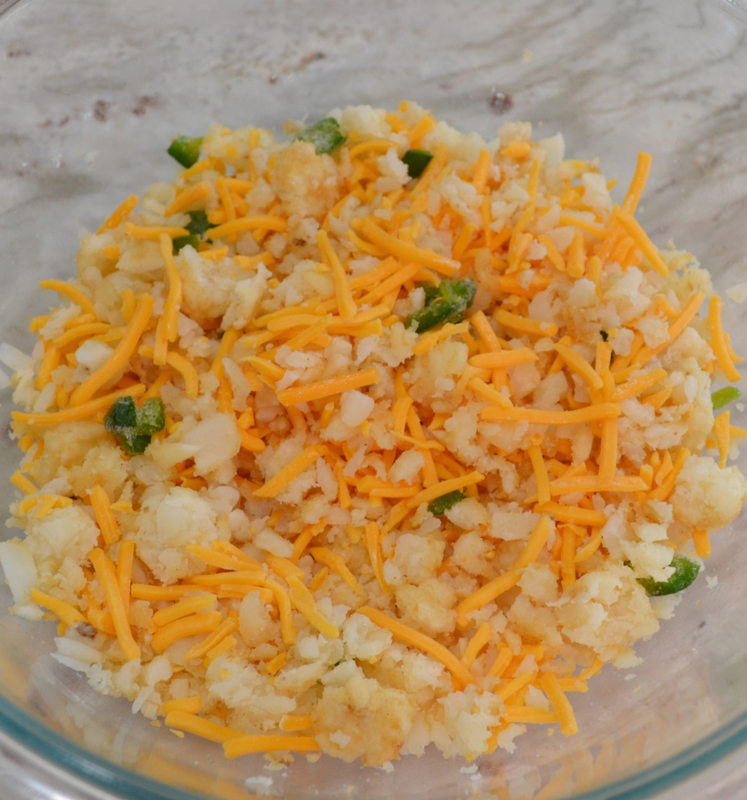 Add the other 1 cup of cheese, and diced jalapenos. Combine well. 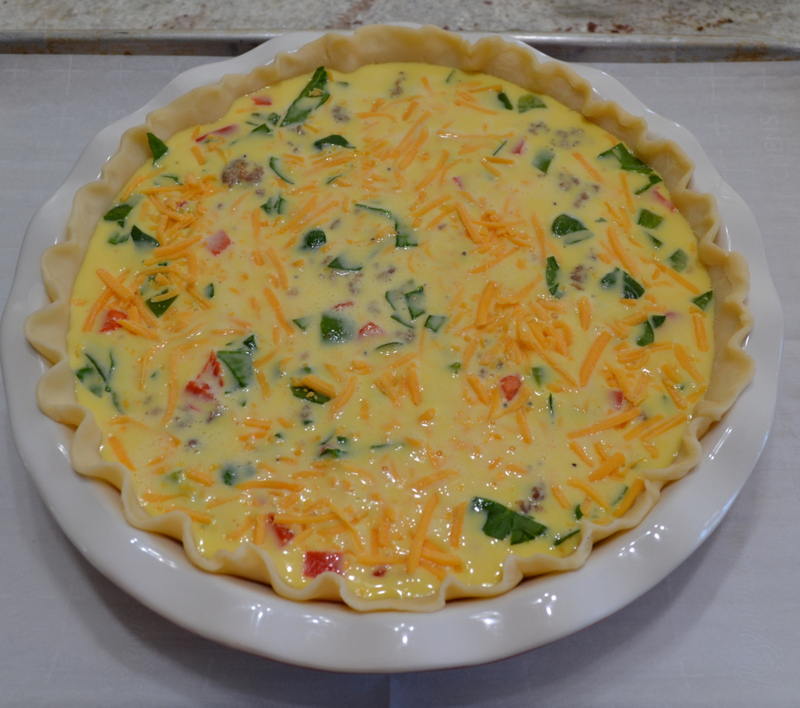 Arrange the topping evenly over the quiche. 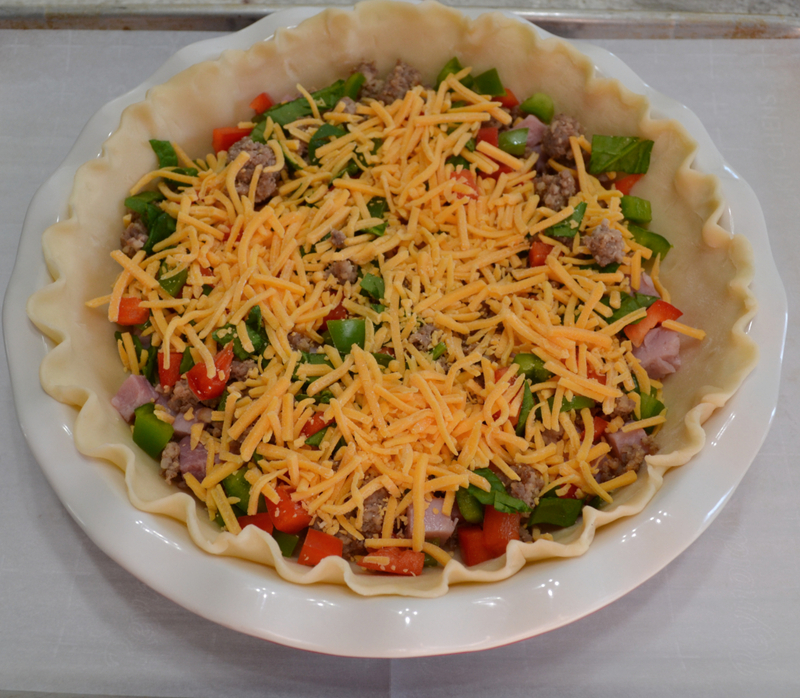 I use a pie shield to cover the edges of the crust while it is baking. Bake about 50 minutes, or until egg mixture becomes set. I test it just by wiggling the pie plate carefully, and turn off the oven as soon as it is set. Do not over bake or it seems to become dry. 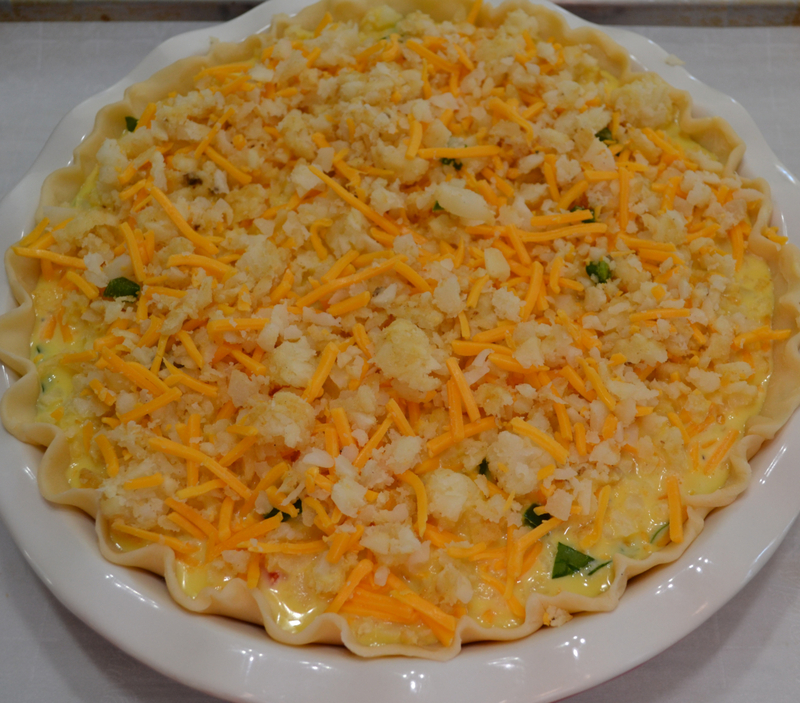 Remove from the oven and allow to set about 10-15 minutes for easier cutting. Cut into wedges and serve warm or at room temperature. 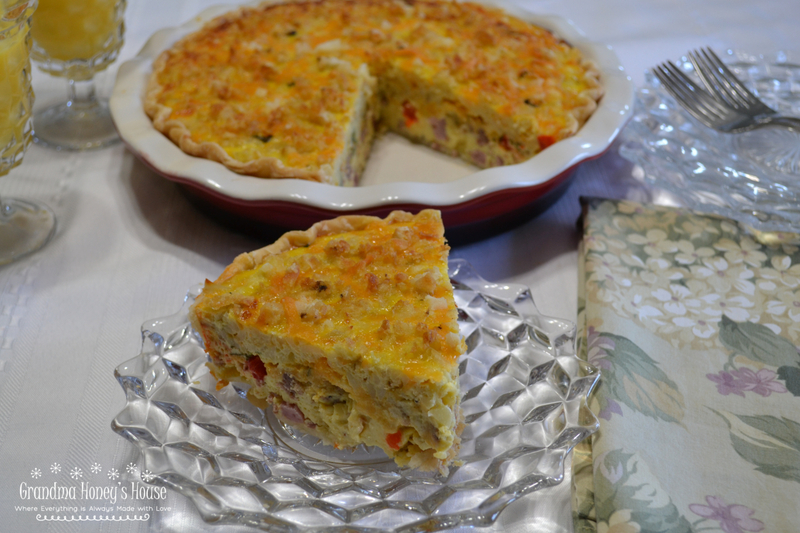 This Loaded Quiche can be made ahead and will remain good for several days. My husband loves it when I make it for him if I am going out of town, so he has breakfast already made for a few days. 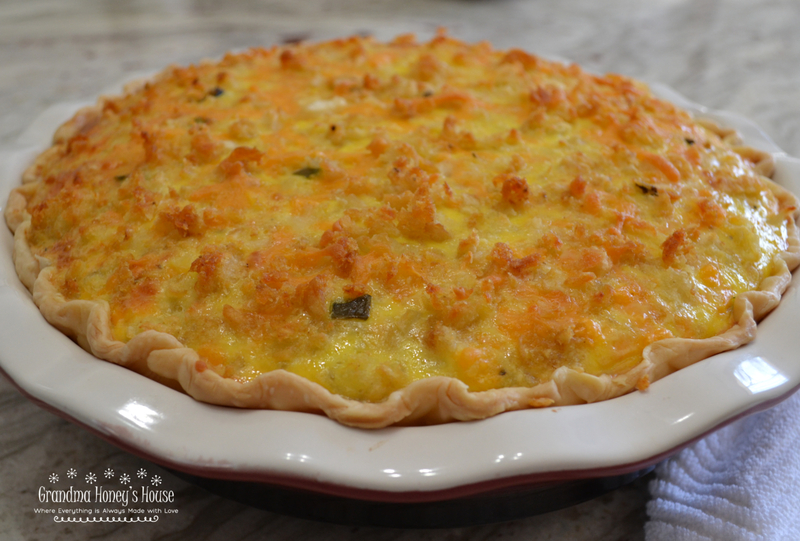 Quiche are so versatile and can be made with any ingredients you have on hand. This was not a sponsored post. I did not receive any compensation at all. These are the ingredients that I like to use, and the opinions are my own. Preheat oven to 350 degrees F. Set an ungreased 9 or 10 inch deep dish pie plate on a parchment lined baking sheet. Set pie crust out of refrigerator about 10 minutes. Press pie crust into bottom of pie plate and up the sides. Flute the edges using fingers. Arrange the ham chunks, sausage, red and green peppers, and spinach in the bottom of the pan. Sprinkle 1 cup of the cheese over the ingredients. In a large mixing bowl, whisk together, or beat on low speed with mixer, the eggs, dijon mustard, salt, pepper, and half and half. Pour evenly over the other ingredients. Place the frozen tater tots in a medium size microwave safe dish, and heat them for 1 minute to 1 minute and 30 seconds, until you are able to crumble them. Add the remaining 1 cup of cheese and the jalapenos. Combine ingredients, using a fork or your hands. 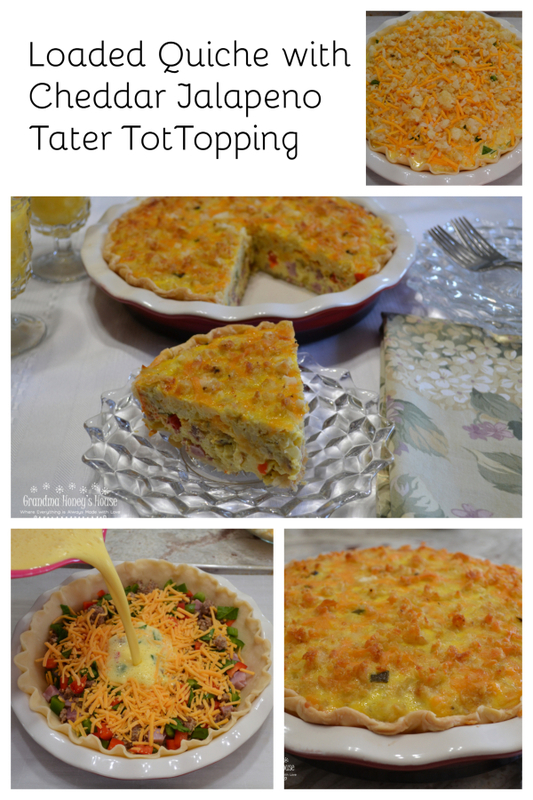 Arrange this topping evenly over the quiche. I don't cover the crust with it. Remove from the oven and allow to set about 10 minutes or more before cutting.